Must I Repeat My Tefillah? Question #1: First among equals!? Why is the first beracha of Shemoneh Esrei, which is called Birkas Avos, different from all the other berachos of Shemoneh Esrei? Despite my best intentions, my mind sometimes wanders during davening, although I really wish I could focus always on building my relationship with Hashem. I recently discovered that the Mishnah Berurah rules that someone saying Shemoneh Esrei who realizes that he recited the first beracha without kavanah should refrain from proceeding until the chazzan’s repetition, and be very attentive to the chazzan’s davening. I tried this once, but did not find this solution practical. The Mishnah Berurah‘s suggestion also does not help my wife, who davens at home. Although I am trying hard to think of the meaning of the words of the first beracha of Shemoneh Esrei, is there a different way to resolve the predicament should I discover at some time in the future that I recited this beracha without kavanah? We should certainly always be careful to think of the meaning of the words every time we praise Hashem. We should be even more concerned when reciting our daily prayers, since they are called avodah shebeleiv, service of the heart, which means our emotional attachment to Hashem. Tefillah means talking directly to Hashem. When davening we should at least be as attentive as we are when engaging in a casual conversation with a friend. Even one who does not know the meaning of every word should pray realizing that he/she is speaking to Hashem. The purpose of prayer is to communicate directly to Hashem, and it is rather obvious that davening inattentively does not achieve its purpose. To quote the Shulchan Aruch: A person who is praying must focus on the meaning of the words that he is saying and imagine that he is facing the Divine Presence. One must do away with all distracting thoughts so that his focus is undisturbed. One should ponder how he would be attentive and choose his words carefully if he was speaking to a king of flesh and blood; certainly before the King of all kings, the Holy One, blessed is He (Orach Chayim 98:1). Yet we all know that, unfortunately, we often are unmindful during our davening. The Gemara itself notes that it is inherently human to become distracted during prayer (Yerushalmi, Berachos 2:4; Rosh Hashanah 16b and Bava Basra 164b as explained by Rabbeinu Tam). The question that this article will discuss is: Under what circumstances must one pray again because one was inattentive. Rabbi Shimon ben Lakish said, “when the Torah states, ‘and I will make you into a great nation’ (Bereishis 12:2) – this refers to when we say in our prayer, ‘Elokei Avraham’ [The G-d of Avraham]; ‘and I will bless you’ – this refers to when we say, ‘Elokei Yitzchak’; ‘and I will make your name great’ – this refers to when we say, ‘Elokei Yaakov.’ Perhaps the conclusion of the beracha should include all three forefathers? However, the Torah says, ‘and you will be the blessing’ – the conclusion of the beracha mentions only Avraham, not the others” (Pesachim 117b). Therefore, the first beracha of Shemoneh Esrei closes with the words Magen Avraham, that Hashem protected Avraham. We see that much of the structure of Birkas Avos is derived from the beginning words of our parsha. The Gemara teaches: Someone who is praying must be attentive to the entire prayer. If he is unable to pay attention to the entire prayer, then he should focus minimally on at least one of the berachos. Rabbi Chiya quoting Rav Safra in the name of one of the scholars of Rebbe’s yeshiva explained that the beracha requiring attentiveness is Avos (Berachos 34b). Rashi explains that since Avos is the first beracha, failure to concentrate during its recital reveals that the individual is not really interested in davening, in which case it does not constitute a service. However, someone becoming preoccupied by his thoughts after the first beracha does not demonstrate that he did not want to daven, but simply that humans can easily be distracted. Another reason why attentiveness during Birkas Avos is essential is that Shemoneh Esrei begins with a blessing that focuses on Hashem‘s greatness, which is the entire purpose of prayer. If this blessing was recited without kavanah, one has failed to pray, thus requiring its repetition (Bach, Orach Chayim 101; Mishnah Berurah 101:3). If the entire purpose of prayer is to focus on Hashem‘s greatness, what should someone do if he realizes that because of circumstances beyond his control, he cannot possibly be attentive when he prays? On the one hand, the mitzvah requires him to pray properly, yet this is impossible to achieve. The Gemara rules that he is exempt from prayer. Someone whose thoughts are unsettled should not pray… Rabbi Chanina did not pray on a day that he had gotten angry… One who returns from a trip should not pray for three days (Eruvin 65a). Rashi explains that because of the exhaustion of the trip he is not settled enough to pray properly until three days have passed. The Rambam codifies this: Any prayer recited inattentively is not a prayer. Someone who prayed without thinking must repeat the prayer attentively. If he finds that he is distracted, it is forbidden for him to pray until he composes himself. For this reason, someone returning from traveling who is exhausted or distressed may not pray until he composes himself. Our Sages said a person should wait three days until he is rested and calm, and only then should he pray (Rambam, Hilchos Tefillah 4:15). Thus, we see that someone who cannot have kavanah because of extenuating circumstances, such as illness or exhaustion, is exempt from davening. Similarly, we find this recorded in another early halachic source, the Semag**: A person should assess himself. If he is able to focus his prayer at least in Birkas Avos, then he should pray. If he is unable to focus this much, then he should not pray (Positive Mitzvah #19). A person should not pray in a place where something will distract him and not at a time when he is distracted. However, now we are not that meticulous about this because we do not concentrate that well in our prayers (Orach Chayim 98:2). Nevertheless, the Shulchan Aruch still rules that one must have a minimum amount of kavanah to fulfill the mitzvah of praying. To quote him: One who prays must be attentive to all the berachos. If he cannot do so, he should at least focus on the beracha of Avos. And if he was inattentive to Avos, even if he recited the rest of the berachos with kavanah, he should repeat the prayer (Orach Chayim 101:1). Is it a prayer if it lacked kavanah? This takes us to a new question. What is the halacha if a person realizes after the fact that he recited the first beracha of Shemoneh Esrei without any kavanah? Rabbi Yochanan said: I saw Rabbi Yannai pray, and then pray again (Berachos 30b). Why did Rabbi Yannai pray twice in quick succession? Rabbi Yirmiyah explained that Rabbi Yannai presumably had not prayed the first prayer with proper kavanah, and therefore repeated it. Although the Gemara ultimately rejects Rabbi Yirmiyah’s interpretation of Rabbi Yannai’s actions, the point is still halachically valid: Someone who davened without kavanah should repeat the Tefillah. This regulation is codified as follows: If a person prayed without any kavanah when reciting the first beracha, he should repeat his prayers (Hagahos Ashri, Berachos, end of Chapter 5). Will I be repeating davening forever? One who davens and did not focus on his prayer, if he knows that he can pray again and focus, he should repeat the prayer, and if not, he should not repeat the prayer (Sefer Hamitzvos Katan***, Mitzvah #11). This last opinion is expanded by the Tur and, in turn, by the Rama (Orach Chayim 101), who rule that should someone fail to have kavanah during the beracha of Avos, one should not repeat one’s prayer, because of the likelihood that he will not have kavanah the second time around either. This does not absolve us of the requirement to daven with kavanah, but merely explains that someone who davened without kavanah should not repeat the davening, since there is a good chance that the second davening will be no improvement over the first. For this reason, the Chayei Adam (34:2) rules that we do not repeat the Shemoneh Esrei. However he notes that if the person realizes prior to reciting the name of Hashem at the end of Avos that he did not daven with kavanah, he should return to the words Elokei Avraham and repeat most of the beracha. In this instance, since the beracha was not yet completed, he should attempt to recite the beracha with proper kavanah. The Mishnah Berurah (in Bi’ur Halacha 101:1 s.v. Veha’idna) asks what should one do if, after completing the beracha of Avos, he realizes that he recited the first beracha without kavanah? 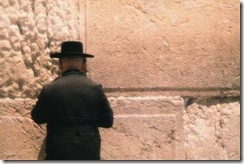 How can he continue davening if he did not fulfill his mitzvah of praying? The Mishnah Berurah is assuming that without kavanah the Tefillah had no purpose at all. He therefore feels that the person who is in the middle of davening and realizes that he recited the first beracha without kavanah faces a conundrum. He may not continue davening because this davening is purposeless, and at the same time he may not repeat the beracha he has already recited because of concern that the repeated beracha will also be said without kavanah. The Mishnah Berurah therefore suggests that someone in this predicament should wait until the chazzan repeats the Shemoneh Esrei and have in mind to fulfill his prayer requirement by paying careful attention to the chazzan’s words. Notwithstanding this analysis, the Mishnah Berurah notes that the Chayei Adam implies that once one has completed the first beracha of Shemoneh Esrei and realizes that he did not have kavanah, he may continue reciting Shemoneh Esrei. The question is why? The answer appears to be that although one is required to pray with kavanah, a prayer recited without kavanah does not have the status of a beracha recited in vain, and the remaining Tefillah is still considered a Tefillah. In explanation of this last point, the Kehilos Yaakov (Berachos #26) explains that there are two distinct responsibilities, one to recite prayers and the other to pray with kavanah. One who prayed without kavanah fulfilled one mitzvah but not the other. Therefore, the prayer recited without kavanah is not in vain, and even fulfills a mitzvah, but does not fulfill the greater mitzvah of praying with kavanah. Rav Elyashiv (published in Madrich Hakashrus Glatt, Volume 20, pg. 143) objects to this approach, contending that we do not find anywhere that there are two distinct different mitzvos involved in prayer. He therefore suggests an alternative approach: someone who prayed without kavanah fulfilled one’s responsibility to daven, but the importance of praying with kavanah allows one who can do so to pray again. Rav Elyashiv compares this to praying a voluntary prayer, a tefilas nedavah. In the time of the Gemara when people usually prayed with kavanah, one who prayed without kavanah was strongly advised to repeat the prayer, this time with kavanah. The Tur and Rama are explaining that when there is a good chance that the subsequent prayer will also be without proper kavanah, one should not pray a second time, because the voluntary prayer is only in order to pray with kavanah, which we cannot guarantee will result. Someone whose thoughts are unsettled should not pray… Rabbi Chanina did not pray on a day that he had gotten angry… One who returns from a trip should not pray for three days (Eruvin 65a). According to both the Kehilas Yaakov and Rav Elyashiv, how can the Gemara rule that someone who is unsettled should not pray? One who fails to pray abrogates the mitzvah of prayer, which they hold one fulfills even if the prayer lacks kavanah? The above Gemara implies that there is no point to pray if he will not have kavanah. Rav Shelomoh Zalman Auerbach (Halichos Shelomoh, Tefillah I pg. 99) presents a different approach that explains the Chayei Adam‘s ruling beautifully. Indeed, one who prayed without the minimum kavanah did not fulfill the mitzvah of Tefillah. However, these berachos are still praises to Hashem and are therefore not considered to be in vain, notwithstanding that one did not fulfill the mitzvah of Tefillah. According to this analysis, reciting Shemoneh Esrei without any kavanah at all did not fulfill the mitzvah of Tefillah, but the nineteen berachos recited were all “kosher” berachos. Rav Shelomoh Zalman rallies support to his approach from the fact that we train children to daven, knowing full well that they are not going to have kavanah. If indeed this is considered a beracha levatalah, how could we do this? He therefore concludes that although a prayer without kavanah does not fulfill the mitzvah of Tefillah, it is nevertheless a valid beracha. It will count towards one’s requirement to recite 100 berachos every day, which would certainly not be so if the beracha was in vain. Now, what happens if someone finds himself in Mutti’s predicament? After completing the first beracha of Shemoneh Esrei, he realizes that he failed to have kavanah. The poskim rule that he should not repeat the davening. However, following the ruling implied by the Chayei Adam, he may continue his Tefillah and the berachos do not have the status of berachos levatalah, notwithstanding that he will not fulfill the mitzvah of Tefillah. Although the Kehilos Yaakov and Rav Elyashiv proposed different approaches to resolve the question at hand, they also agree with the conclusion that Mutti may complete his Tefillah. Certainly, one should do whatever one can to make sure to pay attention to the meaning of the words of one’s Tefillah, and particularly to the first beracha of Shemoneh Esrei. Nevertheless, according to the Kehilos Yaakov, Rav Elyashiv and Rav Shelomoh Zalman Auerbach, one who failed to have kavanah on his first beracha may continue with his Tefillah. * The name has been changed to protect his privacy. ** The author of this last statement is one of the Baalei Tosafos, Rabbi Moshe of Coucy, in his magnum opus, the Sefer Mitzvos Hagadol, which is usually called by its Hebrew acronym Semag. Although this work is not used today as one of the primary sources in deciding halacha, for a period of several hundred years this was one of the main, if not the primary source for halacha among Ashkenazic Jewry. Among the proofs that demonstrate this is the huge number of early commentaries written on it, and that it is one of the sources in halacha footnotes in the margin of the Gemara by the annotator Ein Mishpat. Although in the course of time, the Rosh and the Tur (and then later the Rama) supplanted the Semag as the main halachic source for Ashkenazi Jewry, it is still quoted extensively by the Beis Yosef and later commentaries. *** Shortly after the Semag authored his work, which encompasses all the halachos that the Gemara teaches, organized according to the 613 mitzvos, a different Baal Tosafos, Rav Yitzchak of Corveille, authored a briefer work that summarizes the halachos of the mitzvos that we can practice during the time of the churban when living outside of Eretz Yisrael. His work is called Sefer Hamitzvos Katan and is usually referred by the acronym Semak to distinguish it from the monumental work of the Semag. Posted on October 7, 2013 October 7, 2014 Author adminCategories Editor's Pick, Featured Articles, PrayerTags beracha, bracha, kavanah, Prayer, repetitionLeave a comment on Must I Repeat My Tefillah? 4. How severe is the prohibition to destroy it (ba’al tashchis). 5. There are several agricultural halachos concerning kilayim, shmittah, and ma’aser, all of which are relevant only in Eretz Yisroel. What does this have anything to do with the impending beginning of Elul and the papaya tree? Stay tuned and find out. The Gemara mentions that a tree that takes root thirty days before Rosh Hashanah is halachically considered to complete its first year and begin its second year on Rosh Hashanah. 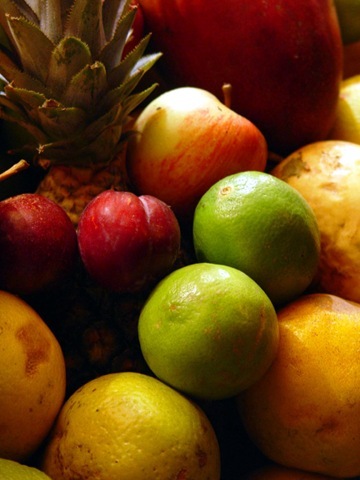 This has major ramifications for determining which fruit are no longer prohibited as orlah, but more so, can actually be a factor as to whether certain crops are permitted or not. As we will soon see, the question germane to papaya is because most papaya fruit often grows before the tree is three years old, which may create a problem whether one may eat the papaya fruit. As we will soon see, although this problem is more serious in Eretz Yisroel, the question also exists germane to papaya that grows elsewhere. (b) Does the fruit production of the species begin to deteriorate the year after it begins producing? (e) Many poskim contend that the prohibition of orlah does not apply to a tree that produces fruit for three years or less. We should also note that poskim dispute whether the definition of a tree for the purposes of the bracha “borei atzei besamim” is the same as the definition for the bracha of “borei pri ha’eitz” and for the halachos of orlah, shmittah, ma’aser, and kilayim. 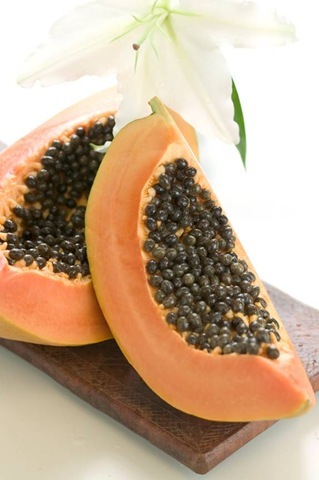 The Spaniards discovered papaya in Mexico and Central America, from there it was transported to the Old World. The earliest halachic reference to it that I am aware of is a shaylah sent from India to the Rav Pe’alim (Vol. 2, Orach Chayim #30), author of the Ben Ish Chai, asking which bracha to recite on its fruit. 1. The part of the stem that produces fruit never produces again. Instead, the fruit grows off the newer growth higher on the plant. Initially, I did not understand what the Rav Pe’alim meant with this, since there are many trees, such as dates, which produce only on their new growth, not on the old. Thus, this does not seem to be a feature that defines a tree. After further study, I realized that the difference is that papaya produces fruit only on top of the “tree,” and it looks atypical, not resembling other trees, whereas with dates, although the fruit grows on the new growth high up on the tree, it does not grow on the top of the tree, but from branches on the new growth. Among contemporary poskim, some follow the ruling of the Rav Pe’alim that papaya is exempt from orlah and its bracha is ha’adamah (Shu’t Yechaveh Daas 4:52), whereas most rule that papaya does have orlah concerns (Shu’t Shevat Halevi 6:165; Mishpetei Aretz, page 27, quoting Rav Elyashiv; Teshuvos VeHanhagos). One should note that Rav Ovadyah Yosef, who rules that papaya is exempt from any orlah concerns, also rules that passionfruit, called pasiflora in Hebrew, is also exempt from the prohibition of orlah since it produces fruit in its first year. Most other authorities do not accept this approach. There should be a difference in halacha between papaya growing in Eretz Yisroel and that growing in chutz la’aretz. Whereas the prohibition of orlah exists both in Eretz Yisroel and in chutz la’aretz, questionable orlah fruit is prohibited if it grew in Eretz Yisroel but permitted if it grew in chutz la’aretz. This is because the mitzvah of orlah has a very unusual halachic status. There is a halacha leMoshe meSinai that prohibits orlah fruit outside of Eretz Yisroel, but only when we are certain that the fruit is orlah. When we are uncertain whether the fruit is orlah, the halacha leMoshe meSinai permits this fruit. Based on the above, one should be able to permit papaya growing outside Eretz Yisroel either because (1) there is the possibility that this particular fruit grew after the orlah years had passed or (2) that perhaps papaya is not considered a tree for one of the reasons mentioned by the Rav Pe’alim. If papain were still produced from leaves there would be no orlah issue, since orlah applies only to the fruit of a plant. Unfortunately, today’s papain is extracted not from the leaf, but from the peel of the papaya. If a fruit is prohibited as orlah, its peel is also prohibited. In actuality, there is a more serious problem of orlah in papain than in eating the papaya fruit itself. Papain is collected by scratching the peel of the growing fruit, which causes a liquid containing the papain to exude from the peel, without harming the fruit. A bib is tied around the middle of a papaya tree, which catches all the papain from that particular tree. The papain is collected and sent to a plant where all the papain harvested is blended. The process can be repeated many times before the fruit is ripe for picking. Thus, the papain is a second crop. However, this method of harvesting the papain creates a halachic complexity not encountered with the papaya fruit. Since safek orlah is permitted in chutz la’aretz, if we are uncertain as to whether a particular tree growing is within its orlah years, we may eat the fruit because of the halacha leMoshe meSinai that safek orlah is permitted. Therefore, even if we consider papaya a tree, the fruit grown outside Eretz Yisroel is permitted if there is a possibility that it is not orlah. The papain, however, would be prohibited because the papain used is a mixture of extracts of all the fruit. If indeed this particular grove contained some trees that are orlah, then the mixture is permitted only if there are 200 parts of non-orlah fruit to one part orlah, which in essence prohibits all the papain. In honor of the month of Shvat, and a bit before Tu Beshvat, I decided to send an article that explains the halachos of the bracha Hanosein rei’ach tov ba’peiros “He who bestows pleasant fragrances in fruits.” Many authorities prefer the version Asher nasan rei’ach tov ba’peiros, in past tense, “He who bestowed pleasant fragrances in fruits” (Eliyah Rabbah 216:5; Mishnah Berurah 216:9). 1. Do we recite this bracha on a food that is not a fruit? 2. Assuming that we recite this bracha on any food, do we recite this bracha on a seasoning that is not eaten by itself, such as cinnamon or oregano? 3. If I am eating a fragrant fruit, do I recite a bracha when I smell it while I am eating it? 4. Do I recite this bracha when smelling a delicious cup of coffee or a freshly-baked pastry? After all, the coffee bean is a fruit, and the flour of the pastry is a grain, which is also halachically a fruit. As we will see, the answer to this question is not so obvious. The Gemara (Berachos 43b) teaches that someone who smells an esrog or a quince should first recite Hanosein rei’ach tov ba’peiros. Question: Why did Chazal institute a unique bracha for aromatic fruits? Answer: Whenever one benefits from this world one must recite a bracha. Thus, Chazal instituted brachos that are appropriate for fragrances. However, all the other brachos on fragrance are not appropriate for smelling fragrant foods, since the other brachos praise Hashem for creating fragrances, whereas esrog and quince are not usually described as fragrances, but as foods that are fragrant. Therefore, Chazal established a special bracha for aromatic fruits (see Beis Yosef, Orach Chayim end of Chapter 297). DO WE RECITE THIS BRACHA ON FRAGRANT FOODS THAT ARE NOT FRUITS? This leads us to a fascinating halachic discussion with a surprising conclusion. A BRACHA ON SMELLING BREAD? However the Beis Yosef and other poskim disagree, contending that one does not recite a bracha before smelling bread or cake, pointing out that the Gemara and the early halachic sources never mention reciting a bracha before smelling bread. These poskim contend that we do not recite a bracha on smelling bread because its fragrance is not significant enough to warrant a bracha (Beis Yosef, Chapter 297). This creates a predicament, since according to the “early poskim,” one may not smell bread without first reciting a bracha, whereas according to the Beis Yosef, reciting a bracha on its fragrance is a bracha recited in vain! The only way of resolving this predicament is by trying not to smell fresh bread, which is the conclusion reached by the Rama (216:14). The concept, introduced by the Beis Yosef, that one recites a bracha only on a significant fragrance is hard to define. What is considered significant? The following is an example in which poskim dispute whether a fragrance is considered significant. The Mishnah Berurah (216:16) rules that someone who smells fresh-roasted ground coffee should recite a bracha of Hanosein rei’ach tov ba’peiros. However, the Kaf HaChayim (216:86), one of the great Sefardic poskim, rules that it is uncertain whether the fragrance of coffee is significant enough to warrant a bracha. Thus, most Sefardim will not recite a bracha prior to smelling fresh-roasted coffee, whereas those who follow the Mishnah Berurah would recite a bracha before smelling roasted coffee beans. As we have discussed, although some poskim (Avudraham and Orchos Chayim) limit the bracha of Hanosein rei’ach tov ba’peiros to fruits, other poskim contend that this bracha should be recited before smelling any fragrant food. This dispute influences the next discussion. DO WE RECITE HANOSEIN REI’ACH TOV BA’PEIROS ON A FRAGRANT SEASONING? The question here is what defines an edible fruit for the purposes of this bracha. Do we recite Hanosein rei’ach tov ba’peiros only on fruit or do we recite it on any edible item? Furthermore, is a flavoring or seasoning considered a food for the purposes of this bracha or not? Spices that are used to flavor but are themselves never eaten, such as bay leaves, are not considered a food. For this reason, there is no requirement to separate terumos and maasros on bay leaves even if they grew in Eretz Yisroel (Tosafos Yoma 81b; Derech Emunah, Terumos 2:3:32). A seasoning that is never eaten by itself, but is eaten when it is used to flavor, such as cinnamon, oregano, or cloves is questionable whether it is considered a food, and we separate terumos and maasros without a bracha; if eaten by itself, it does not recite a bracha of borei pri ha’eitz or borei pri ha’adamah (Shulchan Aruch, Orach Chayim 202:16). What bracha do we recite before smelling a seasoning? What bracha does one recite before smelling cinnamon? On the other hand, the Maharam contends that Hanosein rei’ach tov ba’peiros is inappropriate, presumably because cinnamon is usually not eaten by itself. Alternatively, the Maharam may hold that Hanosein rei’ach tov ba’peiros is inappropriate for cinnamon because it is a bark and not a fruit. Either way, many Ashkenazi poskim rule it is a safek whether the bracha on cinnamon is Hanosein rei’ach tov ba’peiros or Borei atzei besamim and therefore one should recite borei minei besamim (Eliyah Rabbah 216:9; Mishnah Berurah 216:16). Many Sefardim recite Borei atzei besamim before smelling cinnamon (Yalkut Yosef 216:4). Everyone agrees that the bracha before smelling cinnamon leaf is Borei atzei besamim. AND THE LEMON SMELLS SO SWEET! But the fruit of the poor lemon is impossible to eat! Is the bracha before smelling a lemon Hanosein rei’ach tov ba’peiros because it is after all a fruit, or do we recite a different bracha since it is too bitter to eat by itself? Some poskim rule that one should recite Hanosein rei’ach tov ba’peiros before smelling lemons (Ginas Veradim 1:42; Yalkut Yosef 216:7), whereas others contend that one should recited Borei minei besamim before smelling a lemon, treating the lemon as a safek as to whether it is considered a fruit or not (Ketzos Hashulchan 62:9 in Badei Hashulchan). However, this latter opinion causes one to wonder why the bracha before smelling a lemon is different from the bracha before smelling an esrog? After all, the Gemara teaches that before smelling an esrog we recite Hanosein rei’ach tov ba’peiros, although an esrog is also too bitter to eat. Possibly, the esrogim in the days of Chazal were less bitter and were edible. This is implied by the Gemara (Sukkah 36b), which mentions that Rav Chanina took a bite out of his esrog, something difficult to imagine doing to a contemporary esrog. An alternative approach is that an esrog is a fruit because it can be made edible by adding sugar. However according to this reason, a lemon should also be considered a fruit, since one can eat candied lemon, which I presume would require the bracha of Borei pri ha’eitz (Vezos Ha’beracha pg. 366). Similarly, some people eat the slice of lemon they used to season their tea, and lemon is also eaten as a pudding or pie filling. I presume that the bracha on these items when eaten alone would be Borei pri ha’eitz. The fact that lemon cannot be eaten unsweetened should not affect what bracha we recite before eating or smelling lemon just as the bracha before smelling fresh quince is Hanosein rei’ach tov ba’peiros even though it is also not edible raw. Furthermore, we noted above that Chazal instituted the bracha Hanosein rei’ach tov ba’peiros on fragrant fruits and foods because one cannot recite a bracha on them by calling them fragrances. Few people would describe lemon as a fragrance, but as a fruit. Because of these reasons, I believe the bracha before smelling a lemon should be Hanosein rei’ach tov ba’peiros, but I leave it for the individual to ask their rav a shaylah. Incidentally, the correct bracha to recite before smelling citrus blossoms or flowers is Borei atzei besamim, since the flower is not edible. As a side point, one should be very cautious about eating esrog today. Esrog is not a food crop and it is legal to spray the trees with highly toxic pesticides. Because of the rule of chamira sakanta mi’isurah (the halachos of danger are stricter than that of kashrus), I would paskin that it is prohibited to eat esrogim today unless the owner of the orchard will vouch for their safety. Thus, although Aunt Zelda may have a great recipe for making esrog jam, substitute lemon or lime instead. Incidentally, the bracha on eating lemon jam should be Borei pri ha’eitz, which is additional evidence that the bracha before smelling a lemon is Hanosein rei’ach tov ba’peiros. There is a major shaylah in halacha whether one may smell one’s esrog and hadasim during Sukkos. I have written a separate article on this subject. If I am eating a fragrant fruit, do I recite a bracha before I smell it even though I am not deliberately trying to? One does not recite the bracha on fragrance if one is picking up the fruit to eat and happens to smell it at the same time (Shulchan Aruch, Orach Chayim 216:2). However, if one intends both to smell the food and also to eat it, then it would seem to be a question of dispute whether one should recites both brachos, Borei pri ha’eitz and Hanosein Rei’ach Tov ba’peiros. This issue is dependent on a dispute between poskim whether one recites a bracha on a fragrant item that is intended to be used for another purpose. I analyzed this subject in a different article in which I discussed when one should not recite a bracha before smelling a fragrance. WHICH BRACHA SHOULD I RECITE FIRST? The poskim disagree as to whether one should first recite the bracha on eating the fruit because one gains a more significant benefit than from smelling it (Olas Tamid), or whether one should first recite the bracha on smelling it, since one will smell the fruit before he eats it (Eliyahu Rabbah 216:6). The Mishnah Berurah (216:10) rules that one should recite the bracha on smelling the fruit first, although he also cites another suggestion: have in mind not to benefit from the fragrance until after one has recited the bracha on eating it and has tasted the fruit. Then, recite Hanosein rei’ach tov ba’peiros and benefit from the fragrance. Although the sense of smell provides some physical pleasure, it provides no nutritional benefit. Thus, smell represents an interface of the spiritual with the physical. Similarly, we find that we are to offer korbanos as rei’ach nicho’ach, a fragrance demonstrating one’s desire to be close to Hashem. We should always utilize our abilities to smell fragrant items as a stepping stone towards greater mitzvah observance and spirituality. The author acknowledges the tremendous assistance provided by Rabbi Shmuel Silinsky for the horticultural information used in researching this article. A Sweet Change of Pace: What Bracha Does One Recite over Chocolate-Covered Raisins? Before answering this question, we need to ascertain the correct bracha for chocolate itself. Although the accepted practice is to recite Shehakol on chocolate bars and other products, the question is, why? After all, chocolate is the product of the bean from the cocoa tree. Shouldn’t its bracha be Borei pri ha’eitz? As we will see, many poskim indeed contend that the correct bracha on chocolate is ha’eitz, notwithstanding the minhag. We will also investigate whether there is a difference between the bracha on dark chocolate and white chocolate. To resolve our question we must analyze what bracha one recites on fruit products that have undergone extensive processing, such as sugar, peanut butter, jams, jellies, apple sauce, and chocolate. We also need to understand something about the history and methods of chocolate production. Aside from being informative, we will discover that all this information impacts on halacha. Chocolate is native to southern Mexico and Central America, where the Maya, and later the Aztec Indians cultivated the cocoa (also called the cacao) tree for hundreds and possibly thousands of years. In fact, the word chocolate originates from an Aztec word meaning “warm liquid.” In their society, the royal family drank warm unsweetened chocolate from golden goblets, and cocoa beans were used as currency. Thus, if a Jew had accompanied Hernando Cortez on his trip to the New World, he may have recited kiddush and havdalah over hot chocolate since it qualified there as chamar medinah, a beverage used to honor guests! The Spaniards planted cocoa trees all over the tropical parts of the New World. Later industrialists developed vast plantations of cocoa trees in Africa, Indonesia, and other tropical areas. The Native Americans drank their chocolate unsweetened, whereas the Spaniards added sugar to it. This created two industries in the New World, the cocoa industry and the sugar industry. By 5340 (1580), hot chocolate flavored with sugar and vanilla was a common Spanish drink, and from there it eventually spread to the rest of Europe. As long as chocolate was drunk as a beverage, its bracha was certainly Shehakol, since we recite Shehakol on all beverages (except wine, of course), even if they are made from the five grains, such as beer and whiskey (see Tosafos, Berachos 38a s.v. Hai). Two major 19th century developments vastly changed the way people consumed chocolate. In 1847, an English company introduced the first solid eating chocolate. Until this time, chocolate was only drunk as a beverage. The cocoa tree grows with large, colored fruits the size of melons or small pineapples that hang from the branches and trunk of the tree. Each huge fruit contains a sticky pulp that holds about 20-50 almond-shaped seeds that are usually called cocoa beans. The growers separate the beans from the pulp, ferment the beans for about a week, dry them in the sun, and then ship the semi-processed cocoa beans to a chocolate maker. The chocolate maker roasts the beans to bring out the flavor, and then removes the shell from the bean, leaving the kernel. The kernel is ground and becomes a thick, viscous liquid called chocolate liquor. The bean turns into a liquid when it is ground because it contains over 50% fat. Chocolate liquor contains no alcohol — that is simply the name for the ground, liquefied chocolate. Chocolate liquor is pure, bitter, unsweetened chocolate, similar to what the Aztecs drank in their time. The chocolate maker now separates the cocoa liquor into its two main components; the fat or cocoa butter (nothing to do with the butter made from milk that we eat) and cocoa bean solids. The solids are ground into cocoa powder. The chocolate we eat consists of a mix of chocolate liquor, cocoa butter, and cocoa powder, along with several other ingredients, notably sugar and usually milk. This product is ground very finely in a machine called a “conch” to give it a smooth consistency and taste. The chocolate is then tempered, which means that it is heated slowly and then cooled slowly, to enable the chocolate to harden properly and so that the cocoa butter does not separate from the chocolate. Finally, the chocolate is flavored and shaped into the final product. Thus before being ready to eat, chocolate has been separated, fermented, dried, roasted, shelled, ground, liquefied, separated, ground again, mixed with milk and/or cocoa butter, ground yet again in a conch, tempered, flavored and shaped. White chocolate is made from cocoa butter, sugar, and sometimes milk. There are no cocoa solids in white chocolate and that is how in maintains its light color. Some “white chocolate” products are in reality made of vegetable oil and chocolate flavoring instead of cocoa butter. SO WHAT BRACHA DO WE MAKE ON CHOCOLATE? To this day, there is a dispute among poskim whether the correct bracha on chocolate is Borei pri ha’eitz or Shehakol nihyeh bidvaro. To comprehend this dispute we need to understand the halachos of fruit and vegetable products that no longer have their original consistency, such as date butter, apple sauce, jam, fruit puree, mashed potatoes, tomato paste, and peanut butter. Is the correct bracha on these items Borei pri ha’eitz (Borei pri ha’adamah in the case of some) or Shehakol nihyeh bidvaro? The Rishonim dispute this question, many contending that even fruit that is completely pureed is still Borei pri ha’eitz, whereas a minority rule that the bracha on a fruit or vegetable that no longer has its original consistency is Shehakol. The Shulchan Aruch (Orach Chayim 202:7) rules that the bracha on date butter is Ha’eitz, and this is the ruling followed by most Sefardim. Ashkenazim follow the ruling of the Rama, who contends that one should recite Shehakol because of the safek as to which opinion we should follow. In practice, Ashkenazim usually recite Borei pri ha’eitz when eating a product that has some of the consistency of the original product, as is the case of jam with recognizable fruit pieces in it or “chunky” apple sauce, but recite Shehakol before eating a completely smooth apple sauce, or a smooth jam where the fruit has completely lost its consistency (Mishnah Berurah 202:42). However, since the reason we recite Shehakol is because it is a safek, several halachic differences result. For example, someone having a snack of apple sauce and a beverage should make sure to recite the Shehakol on the apple sauce rather than on the beverage. If one recites the Shehakol on the beverage without specifically including the apple sauce, one now has a safek whether he has fulfilled the bracha on the apple sauce. This is because according to the opinions that the bracha should be Ha’eitz, one does not fulfill the bracha by reciting Shehakol on something else. Similarly, someone eating a fruit and apple sauce at the same time who recited Ha’eitz on the fruit should not recite Shehakol (and certainly not Ha’eitz) on the apple sauce. This is because according to the poskim who contend that apple sauce is Ha’eitz he has already fulfilled his bracha by reciting Ha’eitz on the other fruit. Instead, he should first recite Shehakol on the apple sauce and then Ha’eitz on the other fruit (Ben Ish Chai, Pinchas #16). Some poskim are stricter, ruling that one should not eat an item that is definitely Borei pri ha’eitz together with an item that is questionably Borei pri ha’eitz, such as apple sauce. This is because there isn’t any way to fulfill reciting a bracha on both items without creating an unnecessary bracha. If one recites the bracha on the fruit first, then one has a safek as to whether he can recite a bracha on the safek item. However, if you recite the Shehakol on the safek item first, then according to the opinions that the bracha is Ha’eitz you have now recited an unnecessary bracha (Maamar Mordechai 203:3). HOW DOES THIS DISCUSSION AFFECT CHOCOLATE? The average person looking at a chocolate bar does not recognize the cocoa beans since the producer ground, liquefied, and reconstituted them into a solid in the process. Can one still recite Ha’eitz on the finished chocolate product or does it become Shehakol? Many assume that the bracha on chocolate products is Shehakol based on the rulings of the Divrei Yosef and other poskim quoted by Shaarei Teshuvah (202:19). However, since all these poskim lived at the time when chocolate was only drunk, it is difficult to base any halachic conclusion on what bracha to recite before eating chocolate since we recite Shehakol on all beverages, as mentioned above. Among the more recent poskim who discuss what bracha one should recite before eating chocolate, the two greatest poskim to discuss this issue are Rav Shlomoh Zalman Auerbach and Rav Moshe Feinstein, who reach diametrically opposite conclusions. In his Minchas Shlomoh (Vol. 1, 91:2) Rav Shlomoh Zalman suggests that one should recite Ha’eitz before eating chocolate. He compares chocolate to a case of spices ground so fine that their source is no longer identifiable. The bracha recited on these spices is whatever would have been the appropriate bracha on this spice had it been edible before grinding (that is, usually Ha’Adamah), even if the spice is mixed with sugar [and even if it is mostly sugar] (Shulchan Aruch 203:7). Let me explain this case with an example. WHAT BRACHA DOES ONE RECITE ON CINNAMON SUGAR? Cinnamon is the bark of a tree, and as such its bracha is Borei pri ha’adamah (we do not recite Borei pri ha’eitz since we eat the bark and not the fruit). “Cinnamon sugar” is a blend of cinnamon and sugar where the cinnamon cannot be identified by appearance, although it is clearly the more pronounced flavor. Based on the above-quoted ruling, one should recite Ha’adamah before eating cinnamon sugar. Why are spices different from finely ground fruit and vegetables over which Ashkenazim recite Shehakol? Since this is considered the way that one “eats” spices they do not lose their bracha even though they can no longer be identified (Mishnah Berurah 203:12). WHAT BRACHA DO WE RECITE ON SUGAR? As I discussed in a different article, there is a thousand-year-old dispute over whether the correct bracha one should recite before eating cane sugar is Borei pri ha’eitz, Borei pri ha’adamah, or Shehakol. The Shulchan Aruch (202:15) concludes that we recite Shehakol on sugar, however someone who recited either Borei pri ha’eitz or Borei pri ha’adamah on cane sugar should not recite a new bracha since the correct bracha is disputed (Tur, Beis Yosef, Mishnah Berurah, and Biyur Halacha ad loc.). Originally, sugar was produced only from sugar cane. Today a large percentage of the world’s sugar crop is extracted from the sweet white root of the sugar beet. However, mass cultivation and production of sugar beets did not begin until the 19th Century and was a result of the Napoleonic Wars. When the British blockaded Napoleon’s Europe, one of the curtailed products was cane sugar, which does not grow in Europe’s cold climate. Out of concern that his subjects might revolt over the unavailability of imported sugar, Napoleon built sugar refineries throughout Europe. He even awarded a medal for perfecting the production of white sugar from the white root of the sugar beet, which thrives in cold climates. Although Napoleon was not worried about it, Rabbonim were concerned whether the bracha over the new type of sugar was also Shehakol, just as the bracha over cane sugar. (The two types of sugar cannot be distinguished one from the other.) The Mishnah Berurah (202:76) rules that one should recite Shehakol over beet sugar, although if someone recited Borei pri ha’adamah he should not make another bracha. Thus we see that there is a halachic difference between spices that are ground up and cannot be identified, whose bracha remains Ha’adamah, and beet sugar, whose bracha is Shehakol. We must now analyze the difference between these two foods and to figure out where chocolate fits into the picture. After the sugar beets ripen, they are harvested, washed thoroughly, and then sliced into thin chips. The beets are then soaked in hot water for about an hour which extracts the sugar from the beets and creates a strong sugar solution. Chalk is added to the sugar solution which causes the non-sugar parts of the solution to clump so that they can be filtered out. The sugar solution is then evaporated to concentrate the sugar. Eventually the sugar concentration is great enough to form crystals which are then removed from the solution. An important fact affecting our halachic discussion is that in the case of both cane and beet, the sugar is extracted, or removed, from the stem or root, rather than being simply processed. Now our question is, do we compare chocolate to spices, which maintain their bracha even after they have been ground until they are no longer identifiable, or to sugar which we paskin loses its bracha and becomes Shehakol? Horav Shlomoh Zalman compares chocolate to the case of ground spices that maintain their original bracha although they are no longer recognizable. (Dayan Gavriel Krausz, formerly the Av Beis Din of Manchester, devotes a lengthy essay to advocate this position in his sefer Mekor Habracha.) Apparently Rav Shlomoh Zalman felt that chocolate which is refined from the cocoa bean should not be compared to sugar which is extracted from the cane or beet. On the other hand, when Rav Moshe Feinstein, zt”l, (Shu’t Igros Moshe, Orach Chayim 3:31) discusses what bracha to recite before eating chocolate-covered raisins, he assumes that the bracha on chocolate is Shehakol and does not entertain the possibility that its bracha might be a safek. In Rav Moshe’s tshuvah, he addresses the following issue: When eating a food composed of items with different brachos, we must determine which food is the more important part, the ikar, and determines the bracha of the entire food. Rav Moshe deliberates whether the chocolate or the raisin is more important in order to determine whether the bracha on chocolate-covered raisins is Ha’eitz, like the raisin, or Shehakol, like the chocolate. Rav Moshe concludes that neither the chocolate nor the raisins can be considered of secondary importance (tafeil) to the other, and therefore chocolate-covered raisins require two brachos, Ha’eitz on the raisins and Shehakol on the chocolate. Other poskim disagree with Rav Moshe’s psak on chocolate-covered raisins and nuts, contending that one should recite only one bracha. Among these poskim, there are two major approaches, those that hold that the bracha is always Shehakol since they consider the chocolate to be the ikar and those who feel the bracha should be determined by whichever is greater in quantity (Vezos Haberacha pg. 97; Yalkut Yosef, Vol. 3, pg 431). I refer you to your own posek to decide what bracha you should recite before eating this delicacy. As we mentioned above, the Aztecs considered chocolate a royal food. By studying the halachos of the berachos on this food, we elevate it to being a true royal food – since we are determining what bracha the mamleches cohanim vigoy kodosh, the holy nation that is a kingdom of priests recites on this food. Posted on February 11, 2010 September 30, 2014 Author adminCategories Brachas, Halacha ArticlesTags bracha, candy, chocolate, food, raisisLeave a comment on A Sweet Change of Pace: What Bracha Does One Recite over Chocolate-Covered Raisins?